I have had the distinct pleasure of working with the Laikipia Zebra Project at Mpala Research Centre in central Kenya. This project is a collaboration between Princeton University and the Denver Zoo. The goal of the project is to study various aspects of zebra ecology including: movement ecology, population dynamics, demography, disease and parasite ecology, sociality and human/wildlife interactions. Recently, my particular involvement has focused on the spatial ecology of territoriality in Grevy's zebra. 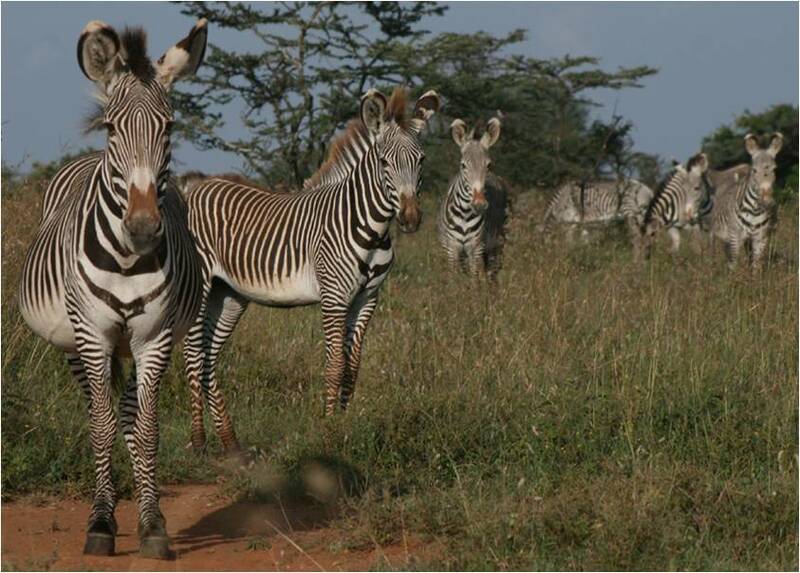 Grevy's zebra social structure is characterized by resource defense polygyny in which dominant males defend a resource-rich territory to monopolize breeding access to transient females that move across a landscape in search of optimal resources. Using long-term survey data of spatially explicit observations of known unique individuals and GPS collared individuals, we hope to better understand the spatial dynamics and resource distributions that influence the emergence and maintenance of reproductively successful territories in spatiotemporally heterogeneous environments.